← A Gem of a Middle Eastern M&M’s pack. Celebrating the 30th Anniversary of E.T. The Extra Terrestrial – CollectingCandy-style! I somehow missed that yesterday was the 30th Anniversary of the original release of E.T. The Extra Terrestrial – a classic film that contains a classic candy tie-in. 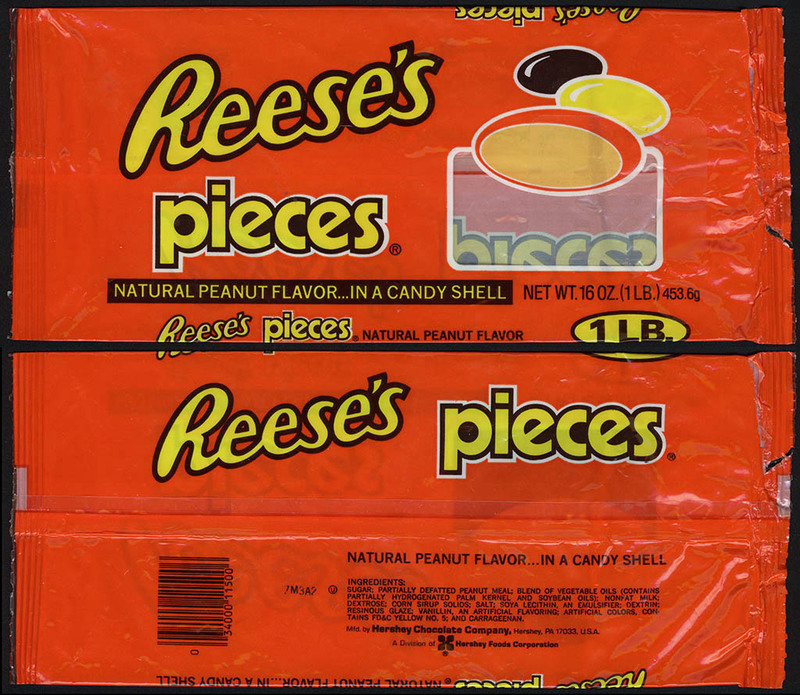 That tie-in being Reese’s Pieces. 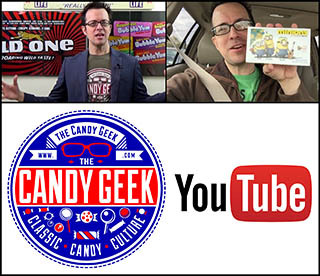 A day late it might be, but today’s column will acknowledge and celebrate that anniversary and the candy-connection it created. E.T. helped solidify Reese’s Pieces as a favorite among millions of kids, but did you know that it almost wasn’t Reese’s Pieces that would be used to lure that cute alien around? As it turns out, the original candy that they had planned to use were M&M’s, but according to this 1982 Time magazine clipping, M&M/Mars wouldn’t give permission for their product to be included in the film. 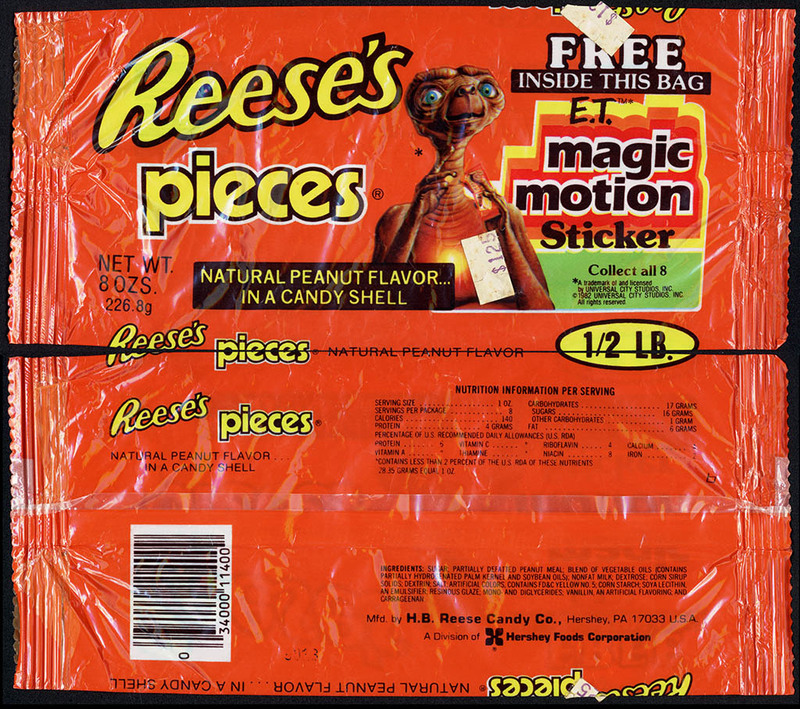 While Reese’s Pieces received the lion’s share of attention thanks to the film, PEZ also got some kind of mention – though I don’t recall exactly where they show up in the movie. I only remembered, because I found this interesting insert card that was likely included in PEZ cello packages at the time. And that’s nearly everything I’ve got that connects candy and E.T. One final piece I’d like to share today comes from across the pond, courtesy the United Kingdom branch of Nabisco. As much a cookie as it is a candy (but so is a Twix), it had to be included. This would have probably been sold out of a standard candy rack, included right along with the other confections. Take note of the utter British-ness of the thing – it’s a cola-flavored cream cookie. Yum? 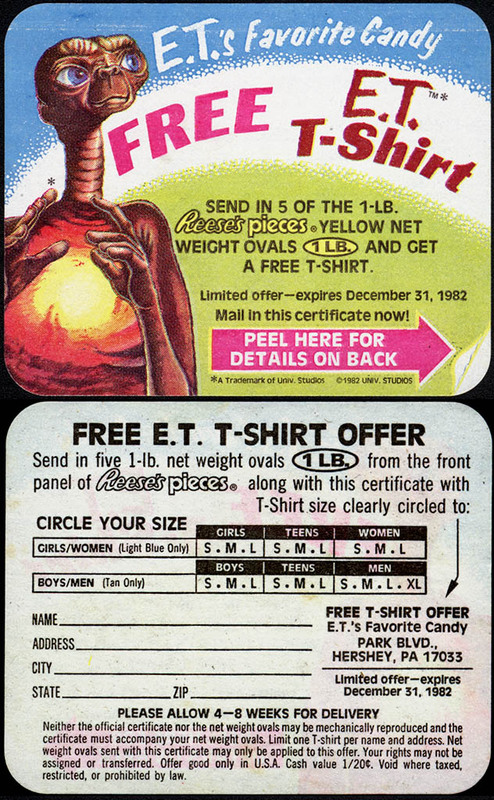 And that wraps up our CollectingCandy.com celebration of E.T.’s 30th Anniversary. 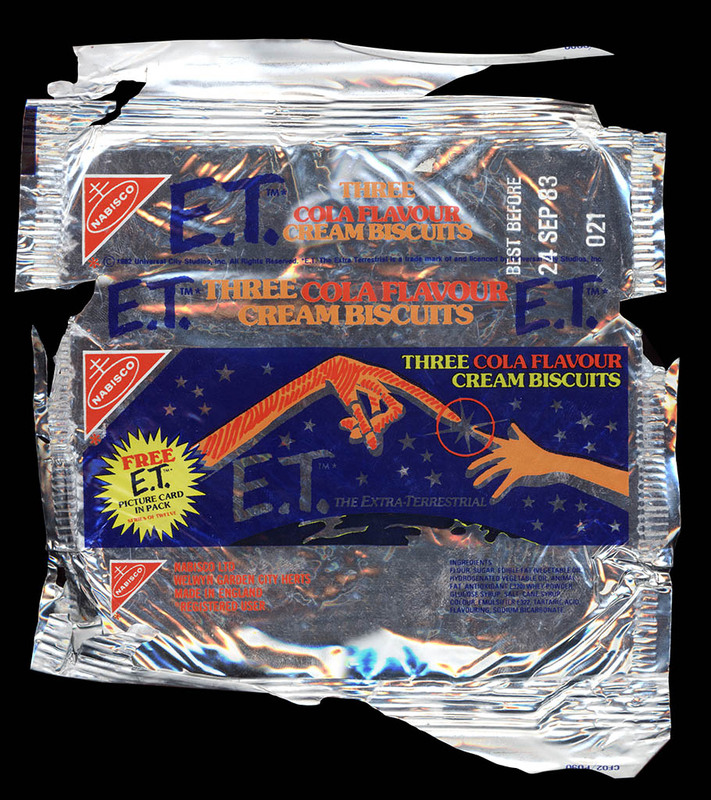 I hope you enjoyed seeing these unusual pieces of E.T.’s confectionery past. See you next time! This entry was posted in 1980's, Hershey, M&M's and tagged 1980's, 80's, candy, candy collecting, candy collection, collecting candy, collection, confectionery, E.T., film, Hershey, movies, packaging, peanut butter, Reese's Pieces, retro, Spielberg, sweets, United Kingdom, vintage, wrapper. Bookmark the permalink. 5 Responses to Celebrating the 30th Anniversary of E.T. The Extra Terrestrial – CollectingCandy-style! I was waiting for this. Good stuff! P.S. To jog your memory, the PEZ appearance is in one of my favourite scenes in the movie, when Elliot is in his room showing E.T. all his stuff (Star Wars figures, PEZ dispensers, etc). I’m embarrassed to say that in my 8th grade school picture I was wearing an ET shirt. Excellent post, Jason! Great to see that Time magazine clipping along with the wrappers.